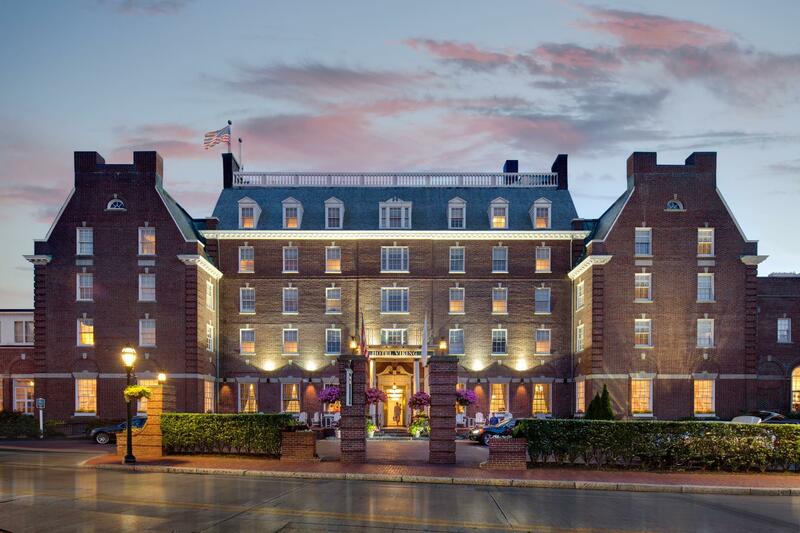 Located on beautiful Bellevue Avenue this historic hotel offers a wonderful combination of style, comfort and modern amenities. Brimming with stories of famous dignitaries and celebrities, the Hotel Viking has offered gracious hospitality for over 90 years. Experience the very best of luxury, location and service located at the start of Newport’s famous Cliff Walk. 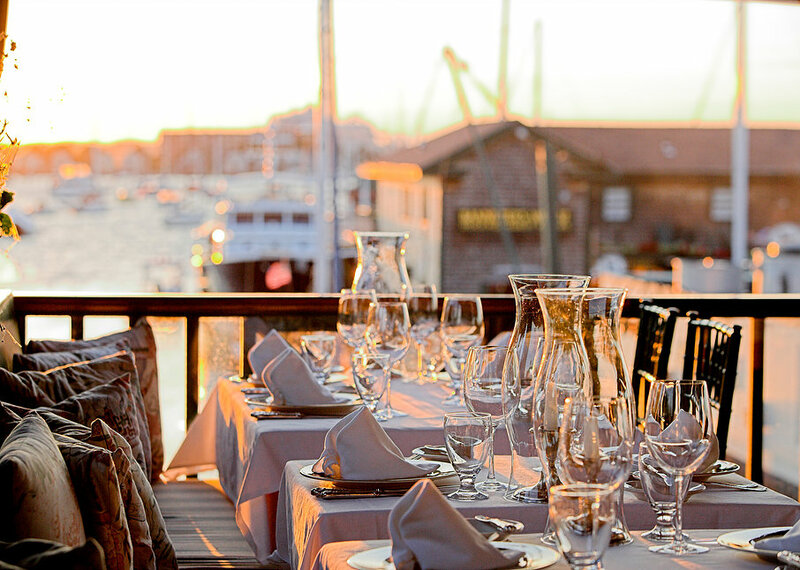 Take in a spectacular panoramic view of the bay from our patio or your private deck or dine in their renowned restaurant, the Spiced Pear. Experience a relaxed house party at a Gilded Age mansion nestled in the heart of historic Newport. Enjoy our extraordinary suites or spa with indoor/outdoor pools and be inspired by our collection of original American Illustration Art. 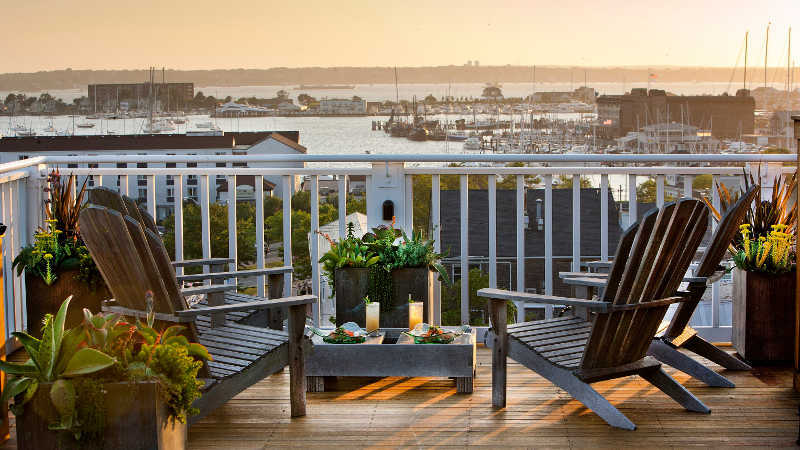 Nestled on a small island in Narragansett Bay, Gurney’s Newport Resort & Marina affords water views in all directions. Amenities include our 257 guest rooms and suites, varied dining and drinking spots, spa with a full range of treatments, and the city’s only outdoor hotel pool. This luxurious inn on an exclusive 40-acre peninsula bordering the ocean is a coastal haven of romance and relaxation. 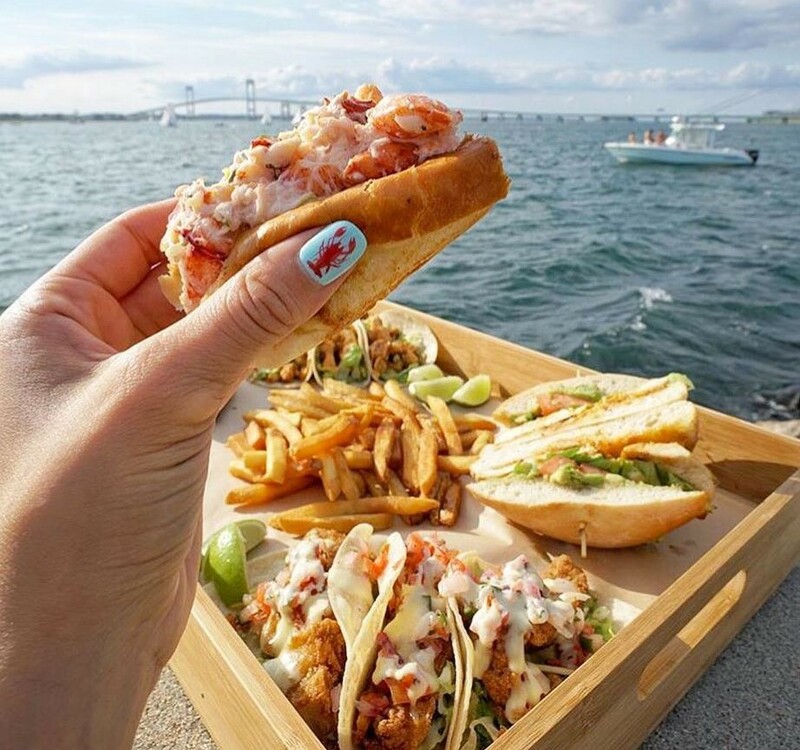 Whether you are staying in a cottage on Castle Hill’s private beach, taking time out to take it all in from the terrace, or indulging in New England cuisine in our dining room, you will be guaranteed panoramic views of the Atlantic and its sailboats floating by. Receive a rejuvenating health experience without imposing time restrictions on your wellness journey, either solo or with loved ones. Our unique facility offers the art of detoxification through hot mineral baths, infrared and electric saunas, aromatherapy steams, cold plunges, organic based skin care and more, to showcase your beauty through health. There is a Newport refuge that exists solely to promote health and well-being for mind, body and soul. Where exotic Balinese spa experiences and Thai body rituals are custom-designed to replace the weight of the world with the feeling of utter relaxation. With floor-to-ceiling views of the surrounding sea, Seawater Spa is imbued with the healing power of water. The spa’s amenities are designed to cleanse, calm, beautify, and enhance overall well-being. Before or after a treatment, enjoy our dry eucalyptus sauna, fitness center, heated indoor pool, coed relaxation area, or salon. Take advantage of the wellness centre at Grace Vanderbilt and enjoy all that it has to offer. Alongside the stunning indoor swimming pool and fully equipped fitness centre lie the exquisite treatment rooms, sauna and steam showers of The Spa. Explore some local Newport flavors at the weekly (Wednesdays) farmer’s market on Memorial Boulevard. Treat yourself to wide variety of locally-grown produce and other delicious foods. Explore the historic downtown area that stretches from Broadway Avenue to Thames Street. Newport is home to many different types of shops and restaurants as well as many well-preserved colonial aged houses and buildings. 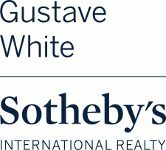 This scenic 10-mile drive covers most of the southern shoreline of Aquidneck Island. The Ocean Drive offers breathtaking water views whether you are driving or biking. Stop along the way the explore a beachy cove or walk around Brenton Point. 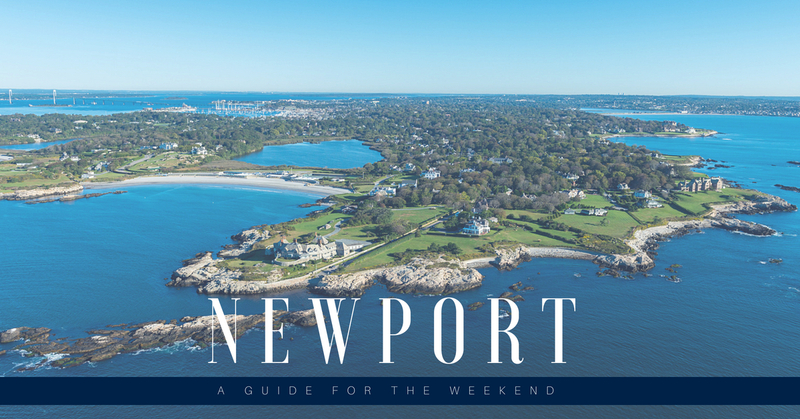 Enjoy a relaxing walk with beautiful views of the Newport’s Waterfront, as well as many of our famous gilded mansions. 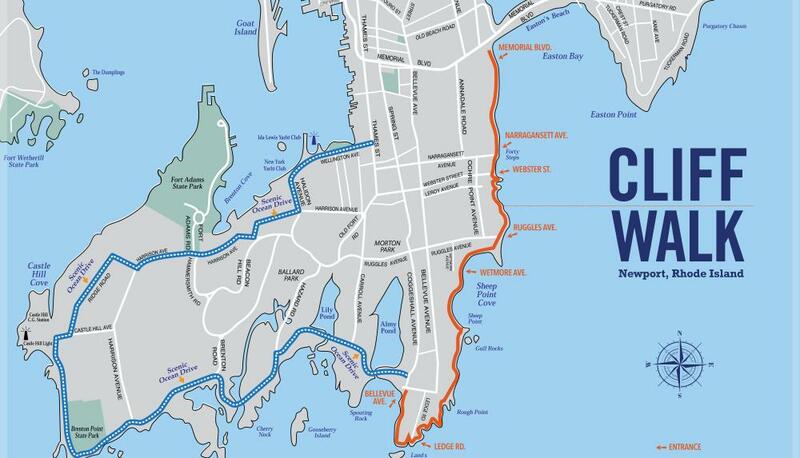 This 3.5-mile public walkway has multiple access points along the way as it stretches from Easton’s beach to Baileys beach. Take some time to relax at some of our beautiful public beaches. Gooseberry and third beach offer a relaxing atmosphere to take your kids. Easton’s beach and Sachuest beach both are family-friendly as well but with good surf. 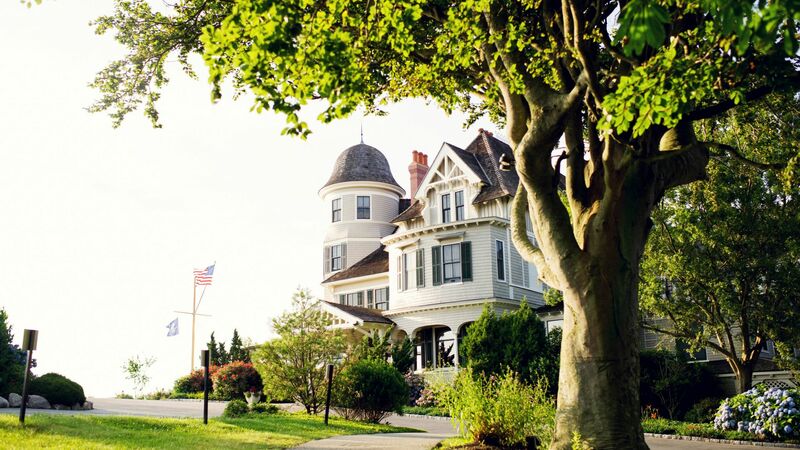 Newport is home to many famous Gilded Mansions. Take a walk down famed Bellevue Avenue and tour through some of the countries most famous estates, such as the Breakers, the Elms, Rosecliff, and the Marble House. Whether you’re looking for a casual drink or formal dining, Midtown is known for their delicious fresh seafood and their large raw bar. Located in the middle of downtown, midtown is an easy spot for lunch or dinner before going out for the day or night. Clarke Cooke House is the quintessential Newport experience, featuring local New England fare with a French twist. We add fine dining and sushi in the Summer months, and multiple dining atmospheres year-round. House ground burgers and hot dogs served in a fun, local atmosphere. Good Beer. Good Burgers. Good Vibes. A downtown kitchen and bar focusing on local and seasonal ingredients, when available. A creative blend of classic riffs and unique infusions. Spotlighting bar sustainability, accompanied by an eclectic wine program. Salvation is a unique experience which includes a rustic barn dining room, seasonal mojito bar and garden and an elegant boutique function room. Salvation offers a fresh, innovative menu using local vendors as well as a rotating craft on draft beer selection and exotic tiki-inspired cocktails. Enjoy the 5th Element’s concept of quality dining, drinking, design and thoughtful hospitality in the heart of Newport’s Broadway Restaurant District. A time-honored establishment, The Black Pearl offers an authentic New England experience for both our celebrated locals and passing visitors. Choose from our different venues that will make for the perfect visit on every occasion – Our classic Tavern Room, our fashionable Commodore’s Room for an upscale dining experience, or join us on our spirited outdoor Patio and open-air Bar. Open May through September, the former iconic Pineapples has been transformed into the ideal place to sip, swim & relax. Whether enjoying a meal at our waterfront restaurant or a poolside cabana, The Pineapple Club is an incomparable resort destination. This historic 18th-century Naval officer’s home in the heart of Newport has been transformed into a casual and boisterous gathering space with the flare of authentic Mexican cuisine. Earthy colors saturate the walls, and the whimsical decor make each of the cozy rooms jump to life with fiesta-like energy. Behind the bar classic margaritas are turned into bold and fresh concoctions as exciting and remarkable as a great glass of wine.